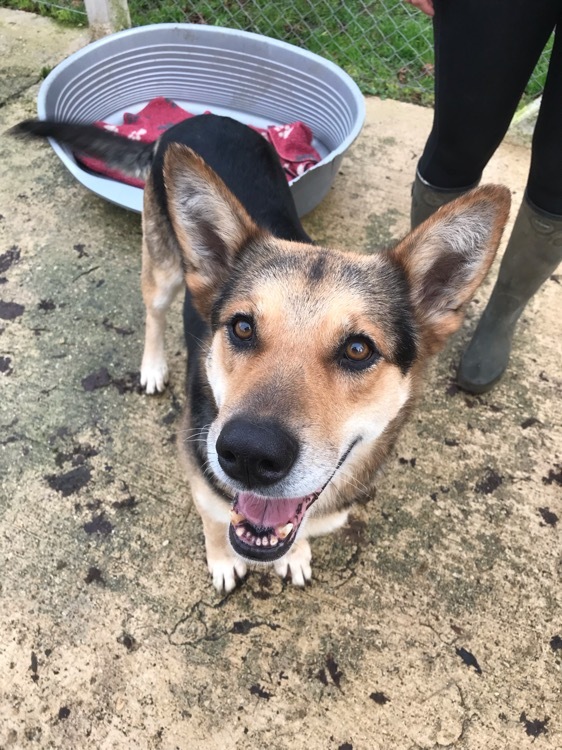 Meet Bessie an approximately 6 year old GSD cross looking for a new home with us here in the Southwest. Bess is a fun loving girl with an independent streak. She’s best suited to an adult home or one with older teenagers only. She does enjoy being patted and spending time with people but her favourite past time is getting out and about. Bess isn’t suited to living with other dogs and is untested with cats. She walks on a lead using a collar at the moment but may benefit from introduction to a two point harness or head collar. She is smaller than a full sized GSD though so has less power behind her. She does like toys and walks are the best point in her day. 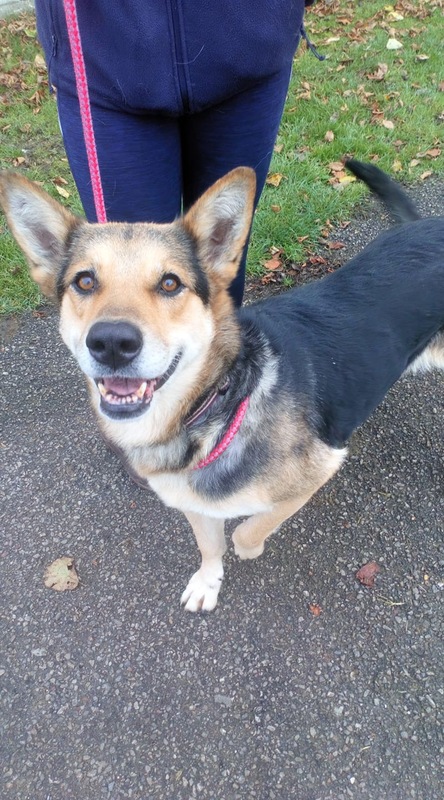 She’s looking for an active experienced home that can exercise her brain and her paws, are you the one for her?